Increasing environmental awareness has changed the way we drive, what we buy and where we get our food. But what about the way we take care of our horses? 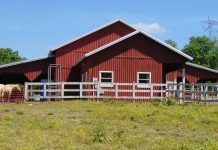 A few simple changes around the barn can help you do your part to protect the environment (and maybe even save some money). Make your barn recycling-friendly. 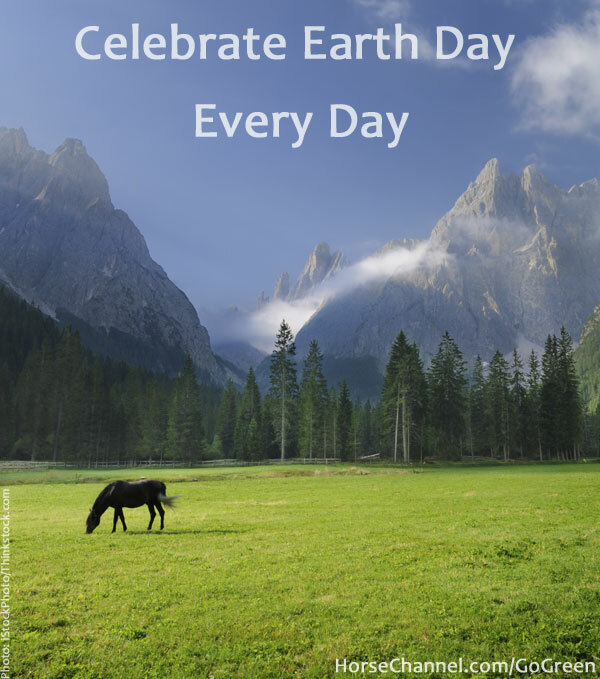 If you have a lot of people coming through your barn you probably see a lot of empty water bottles and soda cans in the trash or sitting around the aisle. Put a recycle bin next to every trash can to make it easy to dispose of recyclables. If you live in a state with a bottle or can redemption program, set up your recycling as an ongoing bottle drive to save up for a new improvement for the barn. Check your local recycling program to find out what facilities are available. 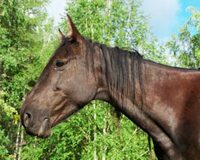 Many towns will recycle paper and cardboard, so those old tack catalogs and dewormer boxes may be recycled instead of heading to the landfill. Give your tack room a fresh coat of paint, and choose a light color. Though dark woods are traditional in the barn, using white or a light shade will brighten up a room without the need for more electric lights. Harvest rain water. Set up a barrel at your drainage spouts and use the collected water to wash the barn tractor or water the garden. Learn more at www.rainbarrelguide.com. Swap out your old incandescent light bulbs for compact fluorescents (CFLs). CFLs use 70% less energy for the same amount of light when compared with incandescents, and last up to ten times longer. They also produce less heat, so they’re safer in the barn. Read the facts about CFLs from Energy Star. Find a new life for old containers. Thoroughly clean and disinfect old supplement containers and they can become grooming totes, water buckets or a place to store rags in the tack room. Empty grain bags can replace your plastic trash bags or be used to collect recyclables. Lose the chemical cleaners. Baking soda mixed with water is a safe, effective cleaner for grain buckets and works great in automatic waterers. Vinegar and water at a 1:3 ratio is a great glass cleaner. Use a little mouthwash to disinfect and freshen your water troughs. Try solar power. Ubiquitous in suburbia, those decorative little walkway lights can be an attractive source of light around the barn area. Install them where you need a little extra light at night and they’ll illuminate pathways using zero electricity. They charge in the sun during the day, and many will automatically turn on from dusk to dawn to make your pedestrian areas safer. Rotate your turnout areas. If you have multiple turnouts on your farm, give one a rest period so vegetation has a chance to grow back before your horses return to mow the grass. 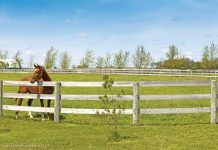 If you only have one turnout area, get some fiberglass poles and electric tape fencing, available fairly inexpensively at any farm supply or hardware store, and block off one section of your pasture at a time. This will prevent your entire turnout from being grazed down to dirt. Overgrazed pastures are also more prone to erosion from rainwater, which can wash dirt and manure into your local water supply. Make friends, save gas. Traveling to horse shows, clinics and other equestrian events usually means doing a lot of driving. 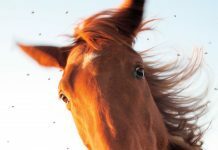 Talk to other boarders at your barn, students at your riding lessons, or join one of your local horse clubs and network with other members and you’re sure to find other horse enthusiasts eager to attend every event within driving distance. Not only will carpooling save money and the environment by reducing the number of cars on the road, but it will make your road trips a lot more fun. Excellent tips, I plan to use some in my own setting. Thanks and keep them coming! Thanks for this article! and the great tips! those are great ideas!i have a barn of my own so i use these tips daily!!!!! Great ideas, but I do most of them already. But even then, I can try to improveing those. going green,wearing helmets,how to get blue ribbons,all good advice but wev all heard it before, kinda sick of it! Thank you for the article! Great information! Great advice and just in time for spring! Good advice! We’ll be doing all of this at my barn this spring! Very good tips. I will do some of these. Nearly all of these I do already….and a few new ones.